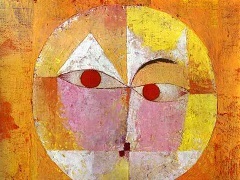 Paul Klee's persistent shifts in style, technique, and subject matter indicate a deliberate and highly playful evasion of aesthetic categorization. 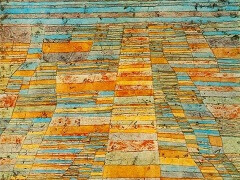 Nevertheless, it is virtually impossible to confuse a work by Klee with one by any other artist, even though many have emulated his idiosyncratic, enigmatic art. 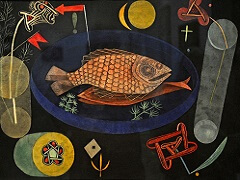 So accepted was his work that Klee was embraced over the years by the Blue Rider group, the European Dada contingent, the Surrealists, and the Bauhaus faculty, with whom he taught for a decade in Weimar and Dessau. 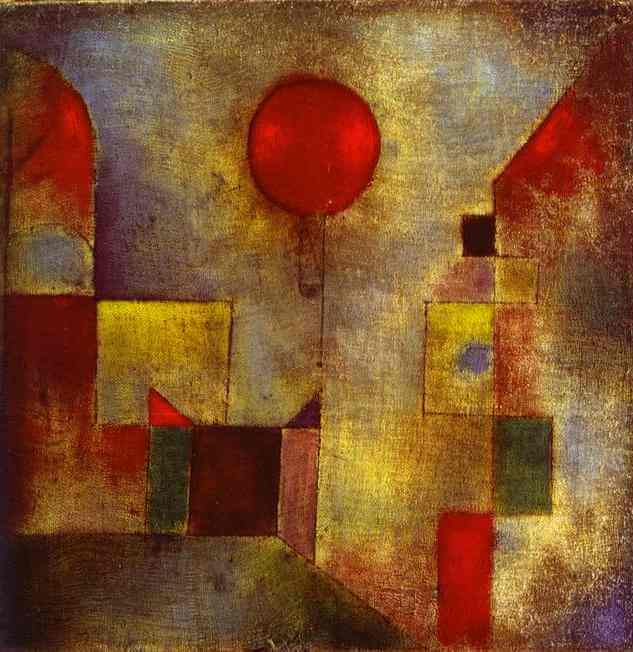 As part of the early 20th-century avant-garde, Klee formulated a personal abstract pictorial language. 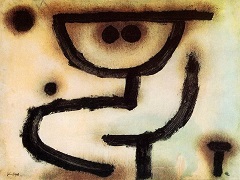 His vocabulary, which oscillates freely between the figurative and the nonrepresentational, communicates through a unique symbology that is more expressive than descriptive. 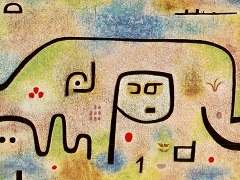 Klee conveyed his meanings through an often whimsical fusion of form and text, frequently writing the titles to his works on the mats upon which they are mounted and including words within the images themselves. 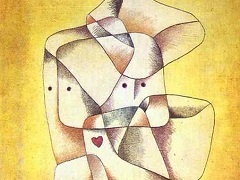 Such is the case with The Bavarian Don Giovanni, in which Klee indicated his admiration for the Mozart opera as well as for certain contemporary sopranos, while hinting at his own amorous pursuits. A veiled self-portrait, the figure climbing the ladder is surrounded by five women's names, an allusion to the operatic scene in which Don Giovanni's servant Leporello recites a list of his master's 2,065 love affairs. Citing Klee's confession that his infatuations changed with every soubrette at the opera, art historian K. Porter Aichele has identified the Emma and Theres of the watercolor as the singers Emma Carelli and Therese Rothauser. 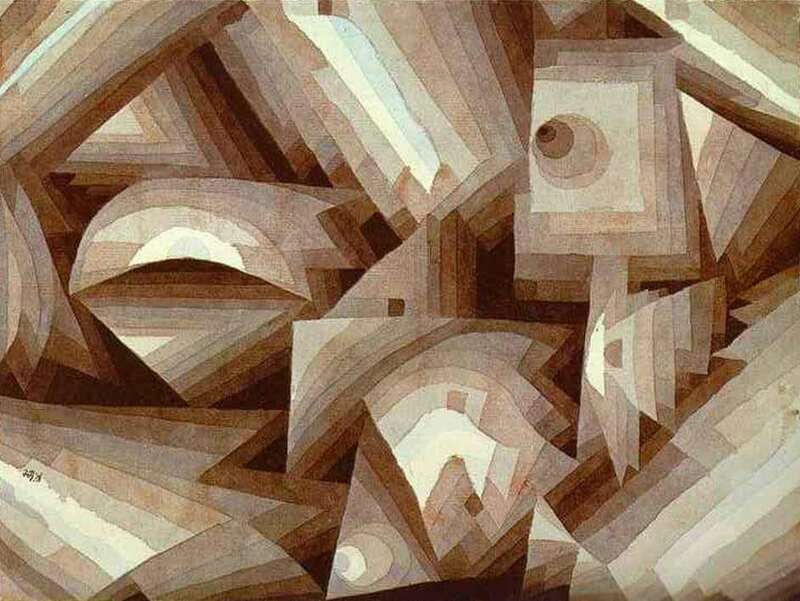 Although much of Klee's work is figurative, compositional design nearly always preceded narrative association. The artist often transformed his experiments in tonal value and line into visual anecdotes. 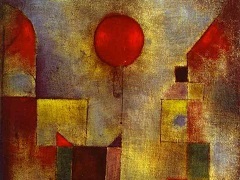 Red Balloon, for example, is at once a cluster of delicately colored, floating geometric shapes and a charming cityscape. Runner at the Goal is an essay in simultaneity; overlapping and partially translucent bars of color illustrate the consecutive gestures of a figure in motion. The flailing arms and sprinting legs add a comic touch to this figure, on whose forehead the number one promises a winning finish.